Deep, rich indigo blue in soft cotton denim is balanced with a creamy linen to form the base of these simple yet bold designs. 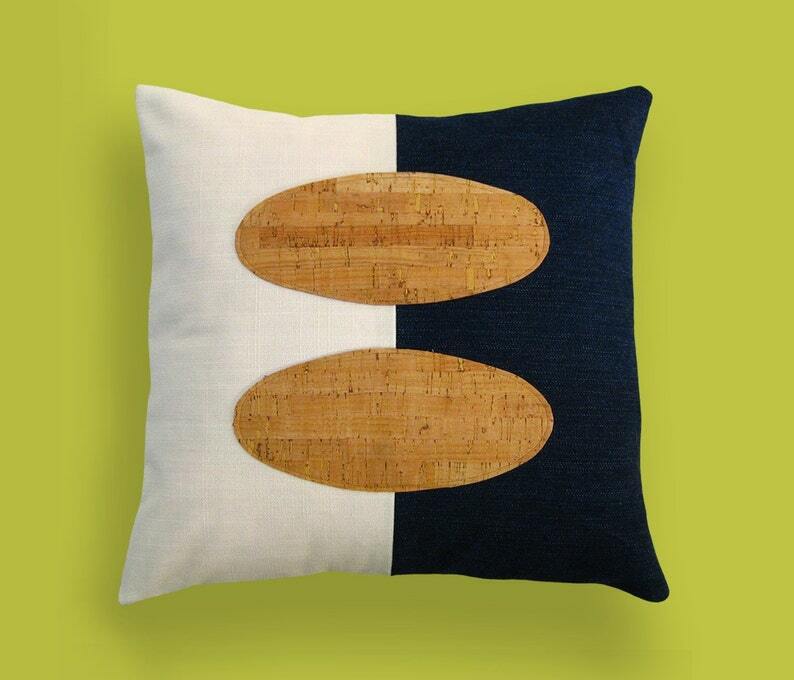 Spherical appliques of real cork fabric add texture and offset the strong lines of the rectangular elements. Artful decorative pillows are a wonderful way to accent your living spaces. Introducing Indigo Cork to your home will subtly add geometry and texture. Envelope opening in the back for easy insert removal.